New for 2019 - there’s an extra session on Wednesdays! 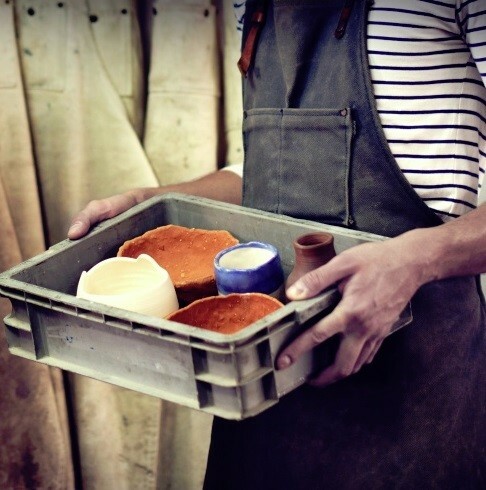 Get stuck in and explore the foundations of pottery in this weekly class devised by ceramicist Geg Fayle. Learn to hand-build and throw on the potter’s wheel, before moving on to explore different surface textures, slips and glazes for decoration. This relaxed, flexible class offers you the chance to work at your own pace on a unique ceramics project. Our Potting Shed course takes place in Geg’s garden studio near Slimbridge. Perfect for complete beginners and improvers alike. Full details of location provided upon booking.